PREPARES will “walk the journey” with pregnant and parenting women, men, and families, who find themselves lacking a healthy support network. Families will be able to access mentors and holistic wrap-around services from the time of awareness of pregnancy to the child’s fifth birthday. Once fully realized, the PREPARES network will provide meaningful, professional and sustainable support to vulnerable Washington mothers, fathers, and families as they nurture their children through pregnancy and early childhood. Through the unified efforts of the Catholic community in Washington State the PREPARES program offers pregnant woman and their family’s unconditional, safe, and nurturing care from pregnancy through the child’s fifth birthday. An introduction to the Washington State PREPARES program. A nurturing response of the Catholic community to provide families the supportive services needed to help ensure healthy childhood development from pregnancy to age five. Volunteers can share experiences and give insight to young parents, and demonstrate healthy and functional parenting styles. Volunteers will celebrate their successes and provide a healthy environment to discuss what’s going on in their lives. Most importantly, volunteers can be an attentive and caring figure in a parent’s life. 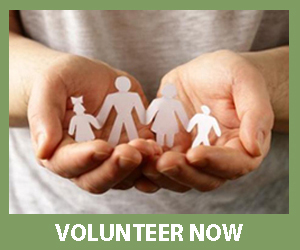 All volunteers need to attend a volunteer orientation to learn about PREPARES as well as receive important rules and information about working with families. In addition, PREPARES may provide supplemental trainings on various topics such as mentoring throughout the year. Our staff members are available to answer any questions volunteers may have. 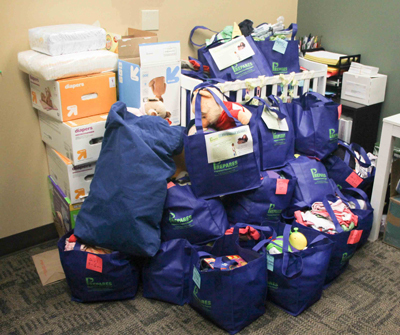 PREPARES Bags – Volunteer to collect and distribute donated items for children, from age 0 to 5, such as diapers, clothing, toys and more. PREPARES Parish Coordinator – Volunteer as a liaison between the parish volunteers and PREPARES staff. Recruit, support, and communicate with volunteers and provide routine updates of community needs to parish leadership and PREPARES staff. Mentor – Provide emotional support for a parent in their parish community. Volunteer commits to spend 2 hours a week with the mother/father or family they are mentoring to. And many more….. please click here to see our Dozen Ways to Get Involved with PREPARES brochure. clicking here or by contacting the PREPARES staff, or by calling (206) 737-9264.
email us, or call 206-737-9264. To be added to our monthly email listserv, please click here. To be contacted by a PREPARES staff, please call our area coordinators, or email us here. Check out our statewide website to learn more about PREPARES across Washington State. Check out the PREPARES Online Community on groopit! PREPARES is funded with a grant from the U.S. Bishops’ Catholic Campaign for Human Development. Read a recent article by Northwest Catholic on PREPARES!